If you search Vietnam Tourist Information, you will find that Ly Son is the Best destination in Vietnam. Therein Cau cave is a unique tourist destination for people who come to Ly Son (Quang Ngai). Surrounding Cau cave is a majestic natural landscape which one side is the sea, another side is the mountain. Located in Dong village, An Hai commune (Ly Son) at the foot of Thoi Loi mountain, Cau Cave has a magnificent natural scenery. Cau Cave has formed for thousands of years ago from the lava by the abrasion of the wave and sea winds “deepening” into the heart of the mountain. 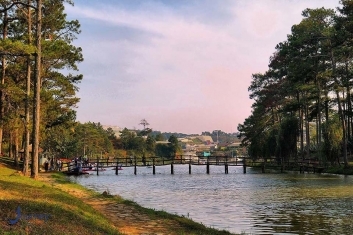 The pristine scenery here brings a romantic and alluring beauty attracting tourists’ soul. 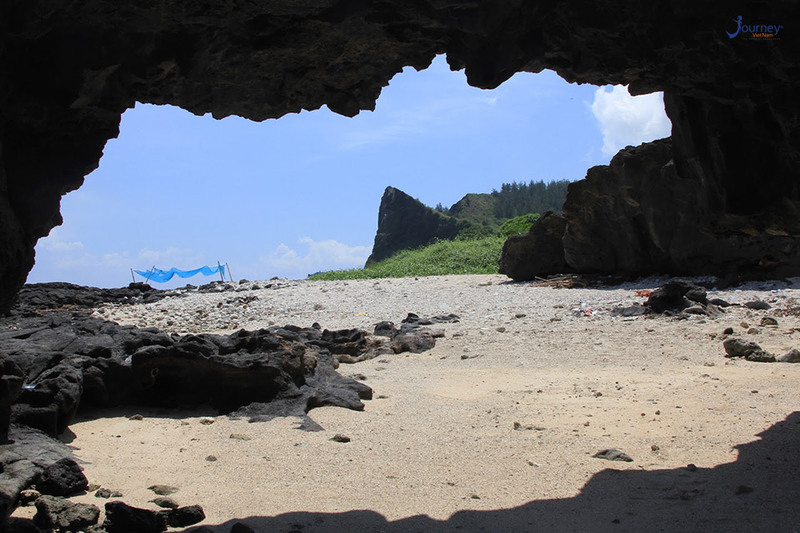 Local people said that the name of this Cave is Cau because, in the sea, there is a lot of seaweed – a species of seaweed can be processed into a jelly of high nutritional value. This is a popular and delicious summer food of the Quang Ngai people. After millions of years of geological change and volcanic eruptions, this Cave has become a fascinating scene that we admire today. The erosion of the waves over the years deepens into the mountain and creates many wonderful rock slits like the ditches in the mountain. Cau cave looks beautiful as an enchanting ink painting. This majestic natural landscape is between a seaside and a mountainside. Cau Cave is given the romantic lyrical beauty by nature. It looks like a fairy on the seafront attracting the tourists’ souls. Taking Vietnam package Tours to Cau Cave, visitors will see a huge stone masterpiece that nature has created delicately. Guests can hear the waves lapping on the rocks, feel the fresh and cool air, fresh sea breezes and more than that, visitors can have a lot of interesting experiences such as fishing, diving, walking to enjoy the beauty of nature. In Cau Cave, besides the majestic scenery in the mountains, with the stone cliff worn out by the sea wind, sea waves, there are smooth stones covered with a layer of green moss hidden in the white foam of sea waves. Standing on the stone cliff, visitors can watch the fish swimming underwater or can dive, play with cool fresh water. It is a great ideal to dive watching marine species swimming in the ocean. From Cau Cave along the beach to the south, visitors will find under their feet many crushed corals in various size created by tides from the sea on the beach every year. This beach area is vast and clean, becomes an interesting place for sea bathing. 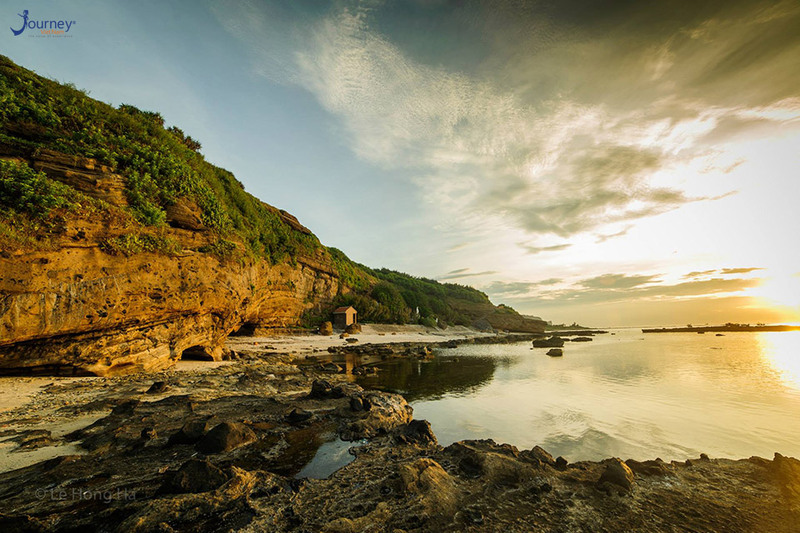 Binh is the time when visitors can feel the most traces of time on the cliffs. Formed through many volcanic eruptions, Hang Cau cliffs are likened to “sandwiches” with many layers of sediment traces overlapping. Over millions of years, the sedimentary layers are visible with many unique shapes. In the early sun, the volcanic sediments reflect different colors. Other programs for reference: Halong Bay Cruises, Sapa Vietnam Tour, Hanoi City Tour, Hoa Lu Tam Coc 1 Day Tour, Hue City Tour.